More than a million couples can't be wrong! And with this updated edition of their award-winning book, Drs. Les and Leslie Parrott help you launch lifelong love like never before. This is more than an audiobook - it's an experience. Get ready for deeper intimacy with the best friend you'll ever have. Saving Your Marriage Before It Starts, in more than 15 languages, is the most widely used marriage prep tool in the world. 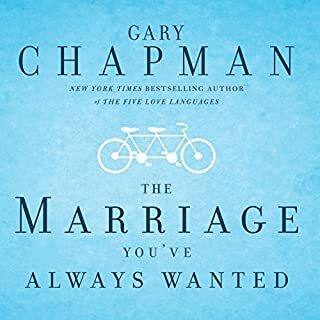 Gary Chapman has helped millions prepare for marriage. Now let him prepare you for kids. Inside, Gary shares what he wishes he and his wife had known before having kids. For example: Children affect your time, your money, and your marriage - and that's just the beginning. With his trademark warmth, he offers practical advice on everything from potty training, to the importance of apologizing to your child, to keeping your marriage strong, all the while celebrating the great joy that children bring. “My husband and I can’t seem to agree on anything.” “You spent how much?” “My wife’s parents are driving me crazy!” “You never listen to me!” Let’s face it—even the best of marriages hit an occasional bump in the road now and then. The secret to marital bliss lies in how you and your spouse handle those bumps. Several Books in One! 11 Hours of EXCELLENT! Before you plan your wedding, plan your marriage! Wish you could know what you’re getting into when you say “I do”? Now, with Things I Wish I’d Known Before We Got Married, you can. 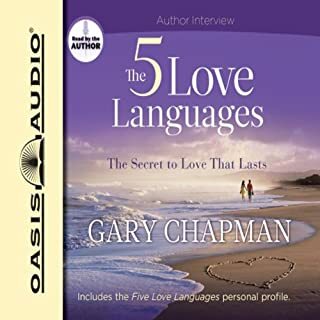 Dr. Gary Chapman, #1 New York Times best-selling author of The 5 Love Languages™, has spent the last thirty-five years counseling couples. In Things I Wish I’d Known Before We Got Married, he shares what he and these couples have learned from experience. Among the twelve things you should know: that being in love is not enough to make a successful marriage, that romantic love has two stages (and how to make the transition), that mutual sexual fulfillment is not automatic, and that personality profoundly affects behavior. The stakes on marriage are high, but the rewards of preparing are even higher. Whether you’re single or dating, this audio can be your relationship blueprint and help you decide if and when you’re ready to tie the knot. If you’re engaged, even recently married, it will help you examine your relationship foundation and learn the skills necessary for building a successful marriage. Things I Wish I’d Known Before We Got Married was written to help you realize your goal of marital happiness. But don’t just listen to it - experience it. Grapple with the practical tips and ideas discussed, honestly share your thoughts and feelings, respect each other’s opinions, and find workable solutions to your differences. The more you do so, says Chapman, the more you will be prepared for marriage. What made the experience of listening to Things I Wish I'd Known Before We Got Married the most enjoyable? It contains real-life issues and real-life experiences. I'll listen over and over again. I wish I'd know these things while dating before I got married. This would have changed the course of many relationships!!! I would have been equipped to successfully be able to deal with such a serious commitment! Trust me singles when I say, "don't take this information lightly or for granted. You will be so much further along in your relationship so it can be a successful one or prevent you from being in an unsuccessful one. YOU WILL ALWAYS NEED TO LEARN. This book is good for married couples to review who have had no training!!! Like the majority of those I know. People get married and just go day by day. They don't enjoy their marriage to the fullest by building it up. What a waist! I'm sure that the keys topics that are touched here have a great amount to do about it. I know it did for me. It's not enough to just be married. We are still alive so it's not too late. Equipping your marriage to be successful is PRICELESS! Great book for singles to prepare, engaged to equip and married couples to review and reconstruct some damaged or undeveloped areas. God bless you for an awesome tool, each chapter is like a little teaser! I found the book very enlightening and I am 100 percent certain that you will learn something. I liked the book so much that I am going to purchase the actual book. This book is worth every penny and should be read by singles as well as dating and married couples. I hope you enjoy and learn as much as I did. Although I had listened to the book after I was married, I found the book very enlightening. My favorite part was the five love languages. I recommend that everyone reads his book to have a clue on relationships. I have read quite a few marriage prep books and this book had the most real life advice not just the fluffy or the in theory stuff. My fiance and I talked a lot after each chapter. I definitely recommend it! This is a must read book, even if you are not getting married anytime soon. Everybody that believes will get married in the future will benefit greatly by appying the concepts of this book. It's great! I was so hooked I read it in one day! So glad I read it. I'm in a serious dating relationship, not yet married. 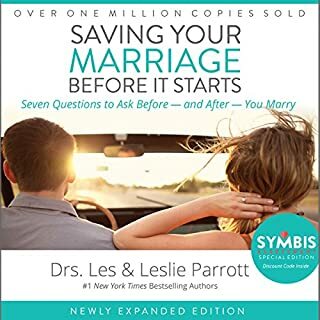 We're thinking of engagement and I think this book helped us iron out a lot of our reservations with regards to marriage or readiness for marriage. Highly recommend it! More for younger, Christian couples. I don't fall into the demographic I think this book is for, but I did find a couple of his points useful - particular regarding finances. I wish he had gone more in that direction. Most of his points can be solved with good communication and living together before the marriage to make sure you're compatible. i know that goes against the Christian narrative, but it might be a nice move considering the enormity of the decision. 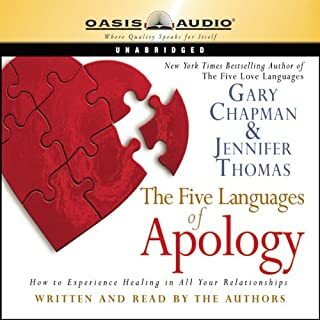 I read books by Gary Chapman during my 14 year marriage, and learned a lot about my relationship. However, I think this book would have properly prepared me for the reality of marriage. Although it does take two to make a relationship work, I think having this book in ones library would be a great start. Everything I expected and more. Well written, well read, very practical while remaining biblical. A must read for all interested in marriage. This book along with the 5 love languages were eye openers. I highly recommend them to singles dating and couples looking to get married. These two books will highlight things and areas of your relationship you might not have considered. I strongly plead to all looking to get married or dating to take advantage of these two books. Take it from me, your future self will thank you. So very insightful even for those who are already in a Marriage! It just goes to show you that you are not alone in your thinking around the contentious and not so contentious issues a marriage will bring and most importantly, the way in which we resolve these. Mr Chapman - you have done it again! 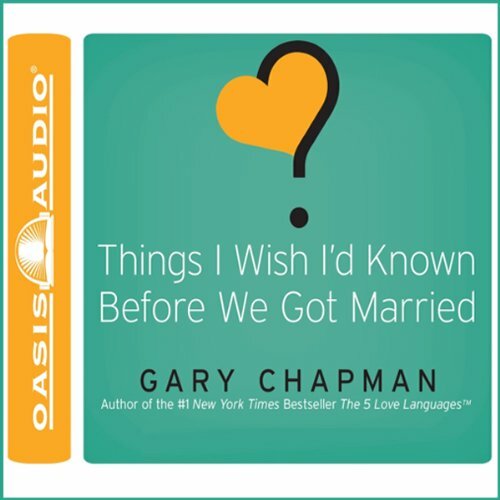 This audiobook offers an excellent insight in preparing for a marriage. 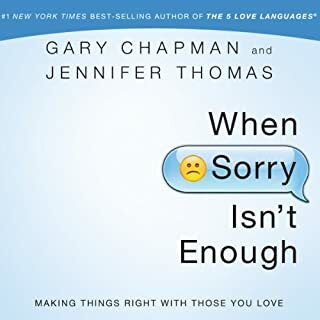 This book not only embraces the difference between partners but at the same time lets you reflect of what are the non-negotiable things that you can't compromise on. Where does Things I Wish I'd Known Before We Got Married rank among all the audiobooks you’ve listened to so far? What does Chris Fabry bring to the story that you wouldn’t experience if you had only read the book? The fact that what I am going through is not peculiar to me. A book I will recommend for all intending to marry and have a happy, peaceful one from the start. 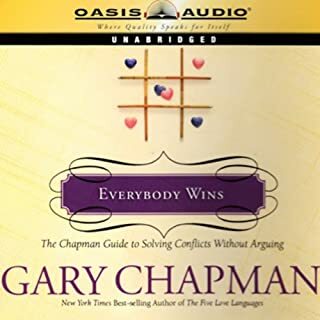 Gary Chapman is an amazing author, I believe everyone needs to read his books before even thinking about getting into a relationship. if put into practise what a different world we'd live in! This book isn't just a good read(listen) it's filled with very good examples and it is very eye opening to single people who wish to get married in the future.